Ever dropped your dentures onto the floor or into the sink and feel your heart skip a beat as it slipped out of your hands? Dentures are breakable. They are a significant investment of money and damaging them can be costly. However, most types of damage can be repaired by simply visiting a trusted dentist, who offers repair of complete and partial dentures. Damages caused on dentures are usually chipping and cracking. These are easily noticeable by people and will, unfortunately, reveal the fact that you have false teeth. If the pink base of your dentures is damaged, this can then cause tissue damage to your soft gums and surrounding oral tissue. This is why you should take proper care of your dentures. You can handle them carefully over a towel or a sink full of water. 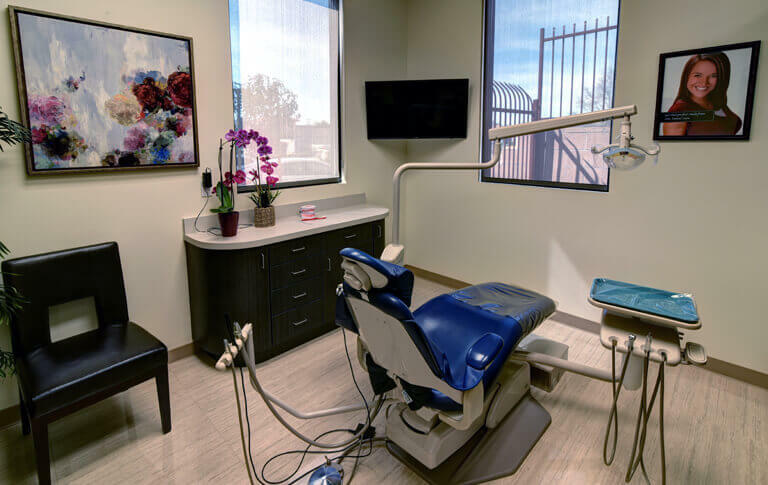 If your dentist offer same-day denture repair, a dental laboratory and technician on-site is accessible to them or in the office. Dental labs use special acrylics, denture adhesives and professional-grade teeth to make repairs that aren’t easily available in a store. 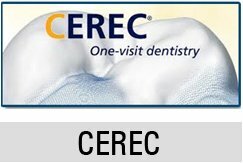 Dental lab technicians are specially trained to repair dentures or make custom impressions as necessary. Take note that the time it takes to repair your dentures depends on the severity of the damage. For example, dentures with a chipped tooth can be repaired in a couple of hours, but a cracked base may take at least 24 hours to repair. 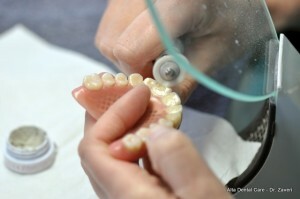 When it comes to repairing dentures, each dentist has different capabilities. When you need denture repair, don’t forget to ask how long it will take and what are your alternatives if you can’t wait very long. There is never a good time to damage your dentures, but breaking them late at night usually put most people into a panic. Even if you feel like you can’t go a day without wearing your dentures, please don’t try to use any type of store-bought adhesive to fix your dentures. You could do irreparable damage and end up having to spend more in denture repair. Call a trusted dental office in Upland to for them to repair broken dentures.